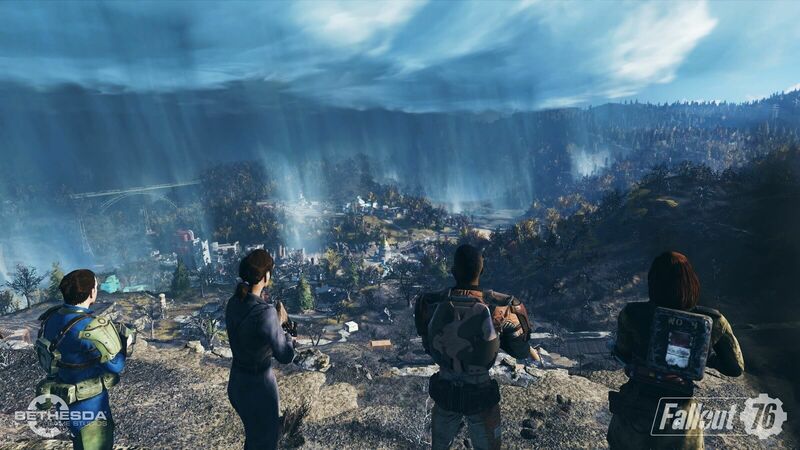 Players rightfully had reservations regarding Fallout 76’s multiplayer component when it was first announced. Even after attempting to quell some of those fears at E3, questions still lingered as to how Bethesda could make it a fair and balanced experience for everyone, especially those who aren’t as interested its PvP mechanics. The developer has previously outlined some systems in place to deter griefing—like not being able to kill another player under level 5—but many of these systems were not detailed in-depth. Thanks to QuakeCon 2018, we have a better understanding of how Bethesda will discourage players from being abusive. According to Todd Howard, Fallout 76 will “turn assholes into interesting content.” By this, he means that those who continually kill innocent players will attain a wanted level with a bounty on their head. When this happens, you’ll be marked on everyone else’s map as a red star, effectively putting a giant target on your back with some bounty money to boot for whoever does you in. To make matters worse, this money comes out of the griefer’s own in-game wallet. As an additional incentive, those who were killed have the option to get revenge on their killer, which deals out twice the amount of money as usual. If you’re worried about stray bullets doing you in, Howard assured fans that this won’t be the case. Getting grazed by an accidental shot won’t actually do much damage. Only when you continually get sprayed with bullets will the damage begin to increase. In order to avoid this altogether, there will be an option that turns off friendly fire so your bullets cannot harm other players.